One of my friend Bobby gave this recipe..thanks Bobby. 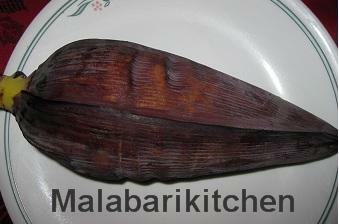 =►Remove 3 to 4 outer layer of banana flower. These cannot be used. Clean and chop the remaining very well. 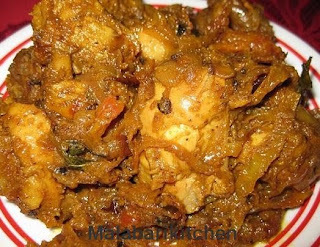 =►Now add sliced shallots, grated coconut, green chilies and salt into it. Mix it properly. 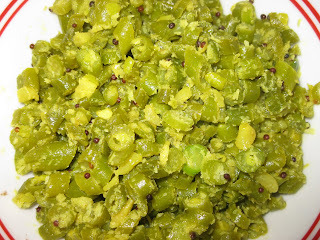 =►Heat 2tsp of oil in a pan and add crushed fennel seeds and mustard seeds. 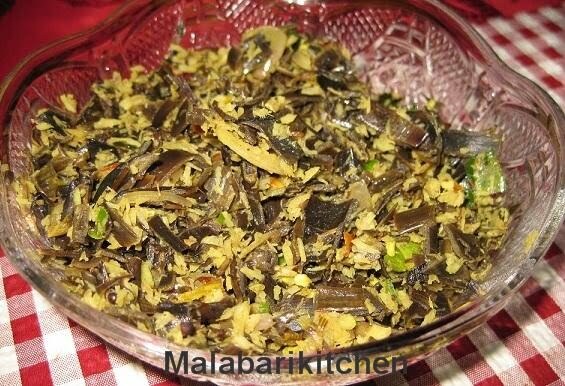 =►When it cracks add dry red chilly and curry leaves along with banana flower. =►Close it with a lid and allow it to cook for 4-5min on medium flame. i love the innermost part of this vazhapoo. My dad used to make us eat it raw. Very healthy vegetable. I dont get it here :-( i miss making this..